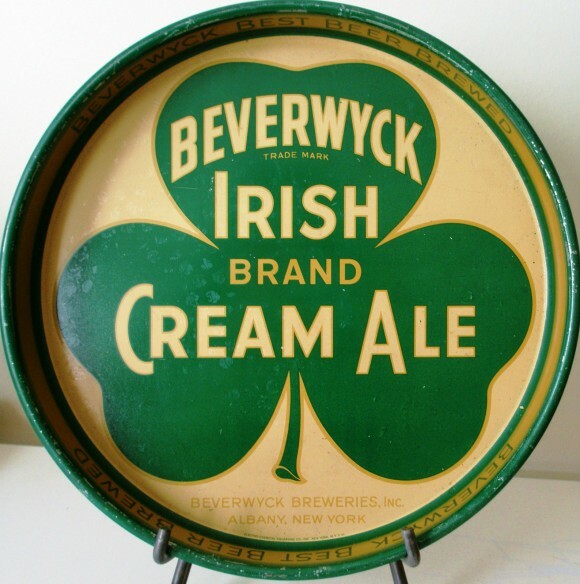 Serving Tray for Beverwyke Irish Brand Cream Ale from The Beverwyck Breweries, Inc. out of Albany, New York. Text along the border states Beverwyck Best Beer Brewed. The center shows a Three leaf clover with the company’s name in the middle.